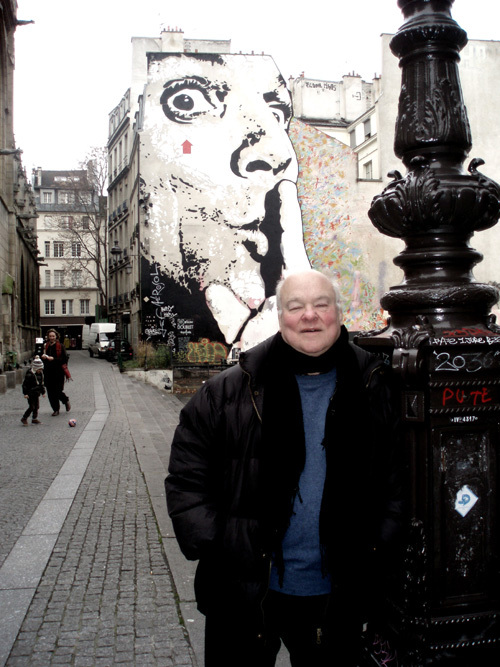 John Baxter is an acclaimed Australian-born writer, journalist, and filmmaker who has made his home in Paris since 1989. His career successfully spans several different genres and mediums from science fiction to screenwriting, documentaries to memoir. Baxter is a bibliophile (the first of his memoirs written in Paris was A Pound of Paper: Confessions of a Book Addict) and a serious movie buff. He’s authored several biographies of famed film luminaries including Federico Fellini, Steven Spielberg, Stanley Kubrick, and Robert De Niro, just to name a few. 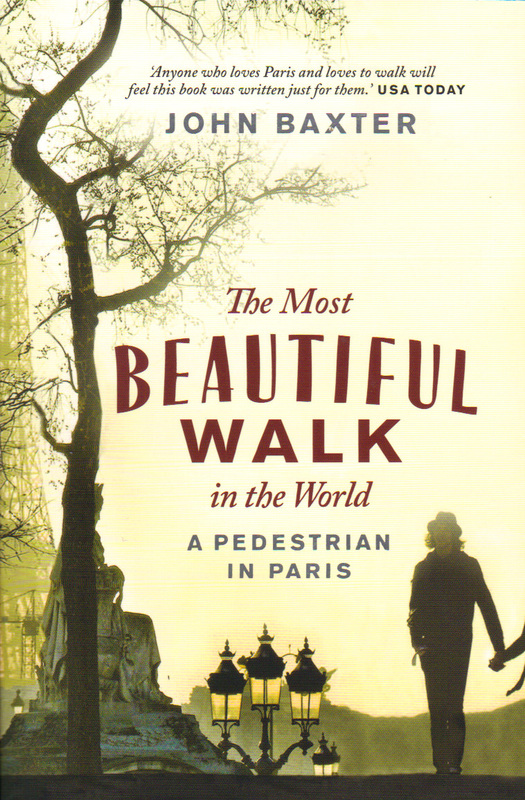 Baxter’s latest work, out this month from Short Books, is The Most Beautiful Walk in the World: A Pedestrian in Paris. Composed of 37 chapters, each elegantly linked to the next, the book is a delightful stroll through the city, its history, and the author’s own observations about his adopted home. What I particularly liked was Baxter’s seamless weaving of personal anecdotes with fascinating facts, a fluid prose that makes it one of the most pleasurable Paris books I’ve read in a long time. His love of the city comes through, as well as his wit and intelligence. A vignette might evoke Paris’ classic beauty (Luxembourg Gardens, for example), but is just as likely to veer into lesser known terrain (mass murderer Henri Désiré Landru who often met his victims in those very same gardens!) Hemingway haunts, opium dens, “political walks” (manifs) – Baxter covers wide ground. I also liked his asides (“Not great laughers, the French…Interestingly, there’s no French equivalent of the phrase ‘bedside manner.’” That one gave me a chuckle). 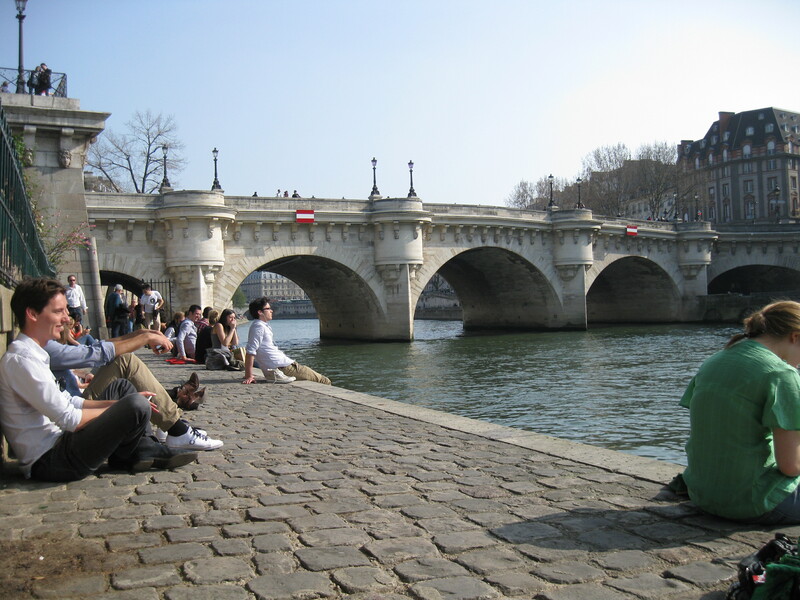 Explaining that my blog is called “paris (im)perfect” because I like the quirky and offbeat and because the imperfect is a verb tense used for recounting stories, I asked John Baxter if he’d be willing to write about one of his strolls off the beaten path. Happily he agreed! I’m so pleased to be able to share an original piece by him here. He also provided the photos. 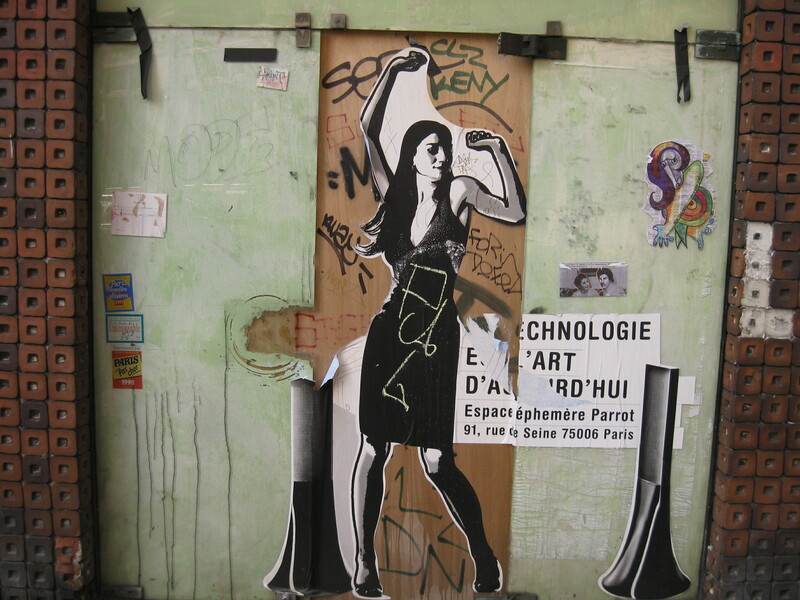 Plastered on the haunch of the butte of Montmartre, the 18th arrondissement is off the beaten track, with an architecture and lifestyle all its own. Along rue Marcadet, diamond-shaped lots from the days when these were market gardens or guinguettes have dictated apartment blocks with parallelogram floor plans. What does it do to your brain, to live in a room with no right angles? Maybe it accounts for the pale faces that stare out from a few windows; shut-ins, with nothing to do but watch the world go by. Caught in the gaps between these crooked habitations, like bits of gristle in a set of crooked teeth, businesses survive that you seldom see in more prosperous districts; plumbing supply shops, shoe repairers, furniture movers, moulders of false teeth. And probably undertakers too, along with makers of funerary monuments. The Montmartrois joke that once you visit the dixhuitieme, you stay forever – because it’s the arrondissement with the largest number of graveyards. 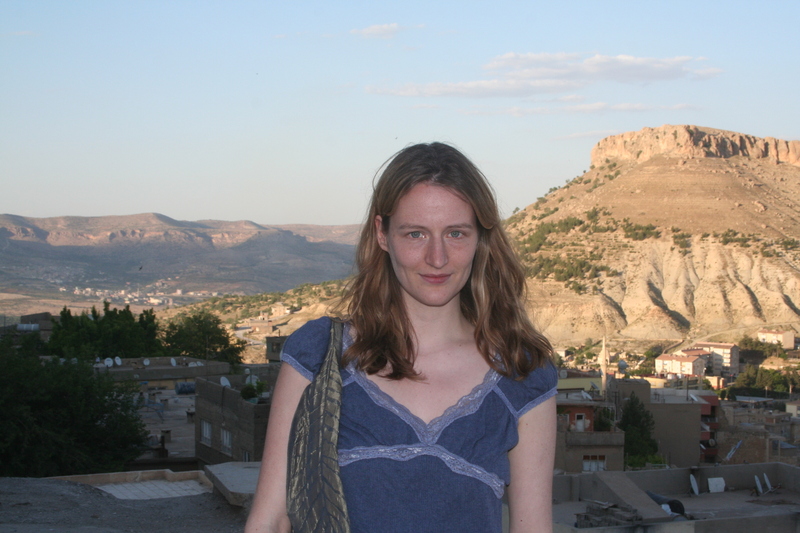 Sophie Hardach wrote The Registrar’s Manual for Detecting Forced Marriages while working as a reporter for Reuters in Paris. The novel follows the intertwining lives of a young Kurdish boy trying to build a life in Germany and a registrar working at a Parisian town hall. If that sounds like an unlikely combination, I can assure you the result is equally as surprising. While grappling with issues of immigration, identity, love, and marriage, the book also displays an unexpected humor that made it a pleasure to read. As with some of my favorite discoveries, I didn’t know much about the author or the story going in. I was delighted to first hear Sophie speak at the American Library and then delve into her delightful debut. Both her talk and her book sparkled. On the occasion of the paperback release of The Registrar’s Manual next Thursday, March 29, I’m pleased to have Sophie on the blog today to answer a few questions. You’re German, live in France, and write in English. Wow! How does this trilingual mix influence your work? And why did English become the language of your creative self? I fell in love with English literature as a teenager, and unlike most teenage love affairs, this one turned into a lifelong passion. English is my ideal home: a place where everyone is welcome, where writers from countries as far apart as Nigeria, Ireland, the U.S. and Singapore – to name just a random few – mingle and contribute. I can think of no other language today that is so open to new influences, so ready to absorb new trends. Why yes. That is a large group of people doing Swedish Gym exercises to the Eurythmics in front of the Eiffel Tower. And yes. I was a part. Saturday March 17 was not only St. Patrick’s Day. It also saw a flashmob at Trocadero sponsored by the enthusiastic gym suedoise association. I am fond of flashmobs. A gathering organized simply to do something silly? Pourquoi poi? Random, fun, free – it fits my criteria. That’s how last weekend I found myself in Prague, walking its cobblestone streets and confronting the most confounding language I’ve heard yet. What’s even cooler is that I got to meet my parents there, thus continuing our tradition of planning reunions in worldly cities (last year it was Istanbul). The flight to Prague was only an hour and twenty minutes. I arrived safely after chatting with my very interesting seatmate (former nightclub promoter now dealing in “African commodities,” anyone? Hmm…there’s a lot more to that story). I’ve gotten so used to the convenient euro zone, I had to remember to change currency. Conversion to the Czech crown took some calculation (1 euro is about 25 crowns; 1 dollar about 19). Easy enough to exchange, though, and even easier to make my way into the city. I love straightforward public transport! A bus directly in front of the terminal dropped us directly in front of a metro – it’s speedy and clean! And when I came out from underground…well, I was kind of in a wasteland. 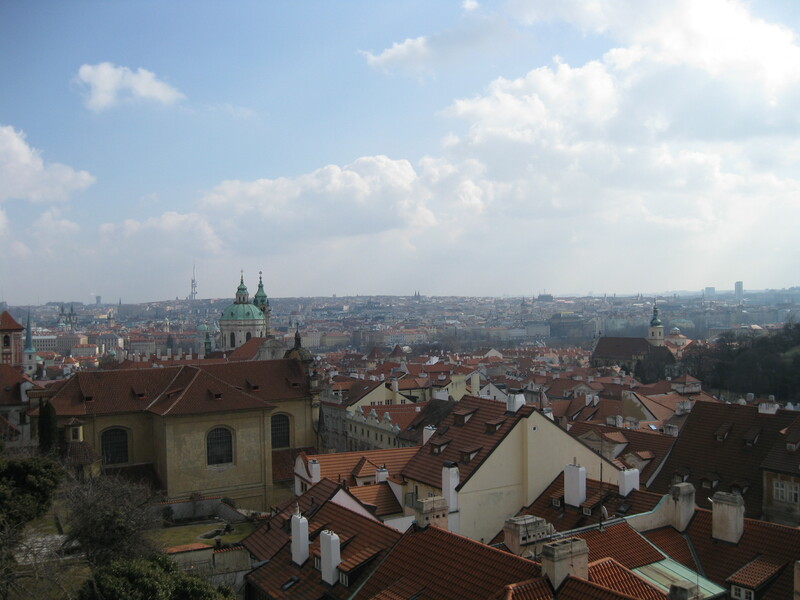 Last night I returned from Prague around midnight. It was wonderful discovering a new city – and I’ll be sharing more about that trip soon. 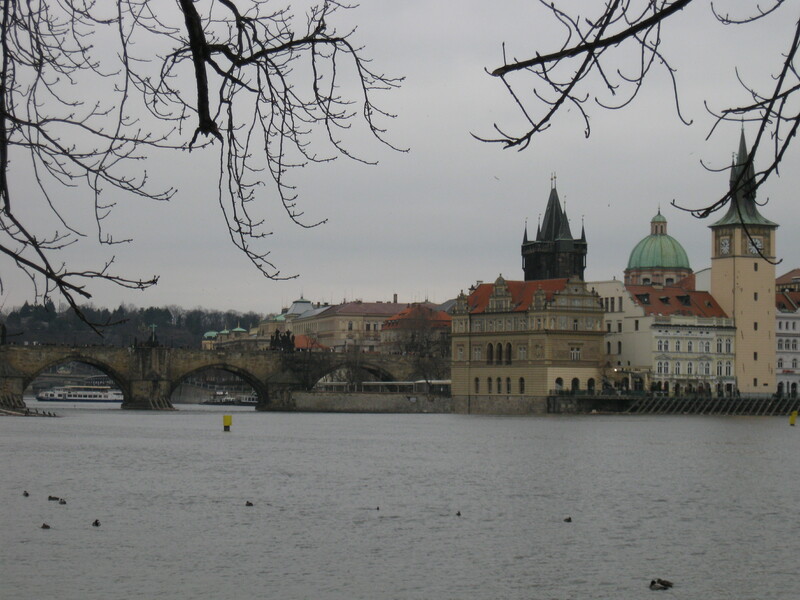 Prague was pretty cold, though. Much better than I expected (the forecast before I left had predicted rain and below freezing temperatures and that did not come to pass), but I have to say waking up this morning in Paris to bright sunshine was fantastic. The sun is supposed to continue its star role and the City of Light will hit 60 degrees this week. Hooray! It’s not my neighborhood park by any means (I’m a Right Banker all the way! 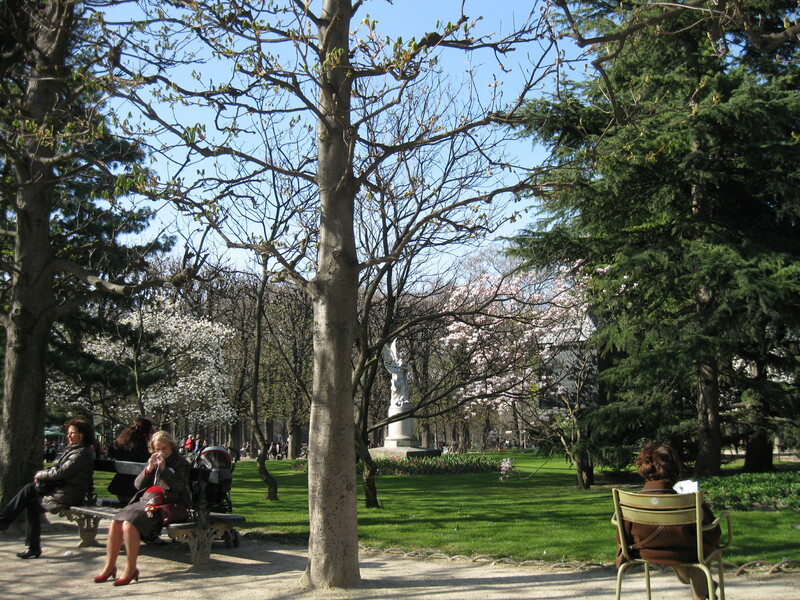 ), but the Luxembourg Gardens holds a special place for many. It’s certainly a good place to mark the arrival of spring. I hope your week is starting off bright and sunny, too. More soon! A lovely photo montage by a 22-year old Parisian photographer named Adrien.